Edge Testing Solutions opens up fast-track job opportunities within digital sector for the region’s graduates, school leavers and career changers via its Academy as a Service launch. The offering also provides a low risk, cost-effective alternative to relying on contractors for businesses, by enabling organisations to build in-house testing teams. Edge Testing’s Academy as a Service offer addresses the business risks associated with not having the right in-house testing skills and provides an alternative to contract recruitment. The process is simple – a client decides on the number of testers required and they are trained at the Edge Academy. If a client requires six or more testers, Edge Testing will run a dedicated client programme. Although many employers look for software tester candidates with a bachelor’s degree in computer science, maths or engineering, recruits that have passed through the Edge Academy have also included graduates from non-IT sectors, as well as school leavers and career changers. They started with an intensive six-week boot camp blending classroom-based software testing training with practical experience. Participants also spend 12 months on a client site before graduation, compared to the two-year schemes offered by competitors. While working on client site, Edge Academy participants are supported by an individually tailored mentoring programme to develop them to the highest practical standard in the shortest possible time. 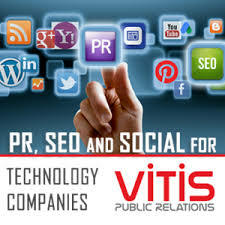 Additional courses can be targeted and blended, with functional and technical subject levels dependent on client requirements. Training is often based at one of Edge Testing’s offices, including its Broad Street location in Birmingham. 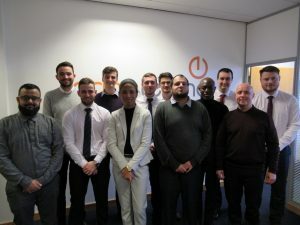 Edge Testing saw the 100th graduate successfully pass through its Edge Academy in May 2018, with the intake continually increasing as the company grows. This software testing education programme is just a part of Edge Testing’s continued growth, with a team of over 250 people. Edge Testing Solutions has wholly-owned offices on Broad Street in Birmingham and its Academy as a Service offer is already available for clients and jobseekers across the region.